Update: Check out the full 51-game list of Wii U launch titles. There we were, sitting in the Nokia Theater, waiting for the Wii U to grab our heads and shake them with the sheer awesomeness of the first of the next-gen consoles. The crowd was there, and they were into it—and it wasn’t all press, far from it. More than one Pikachu backpack was spotted in the wilds of the theater, and those that had their 3DS on them were constantly staring down to see who they had digitally befriended so they could then clear space to make room for the next ten 3DS owners sitting near them. There were fans in the house, and plenty of them. We were all there to see the Wii U, but that isn’t what we got. The specs, release date, price–even the color or colors that the Wii U will be released in—were held back. If there was a guy in the theater holding a foam finger that read “Nintendo is #1,” you could almost imagine the finger wilting as a depressed Nintendo aficionado realized the juicy details of the Wii U weren’t forthcoming. 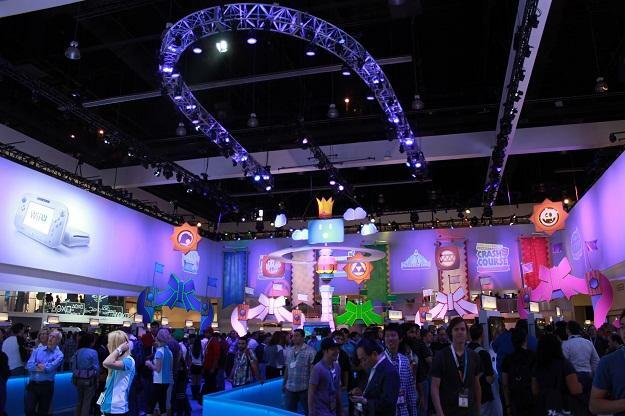 By that measure, many considered the Nintendo presence at E3 to be a disappointment. Nintendo’s stock even took a major hit in the days following, but there was a significant ray of hope that many initially overlooked: Nintendo debuted 23 new titles for the Wii U, many of which were new, while the rest were ports of some of the most popular games of the last year plus a few of the most popular upcoming games on multiple systems. By that measure, Nintendo’s show was actually a moderate hit. While the Wii U may have withheld the specs, the system’s new tablet-like GamePad was very much on display. At E3, many of the games that we hope and presume will be launch titles for the Wii U were also playable. We still have some questions about the hardware, and there are looming issues with how the GamePad will even work. In several games, the player with the GamePad was pitted against the other four players. It was a novel idea that could make for a great time, but what about three players instead of five? Could the game even work with two? These questions will have to be addressed in the future, but for now the titles do show potential. We had the chance to go hands on with ten of the highest profile games that will run on the Wii U. One of the biggest titles ported for the Wii U is Rocksteady’s critical and financial success, Batman: Arkham City. You might notice the Armored Edition subtitle on the end there, and that does signify a slight change in the gameplay. 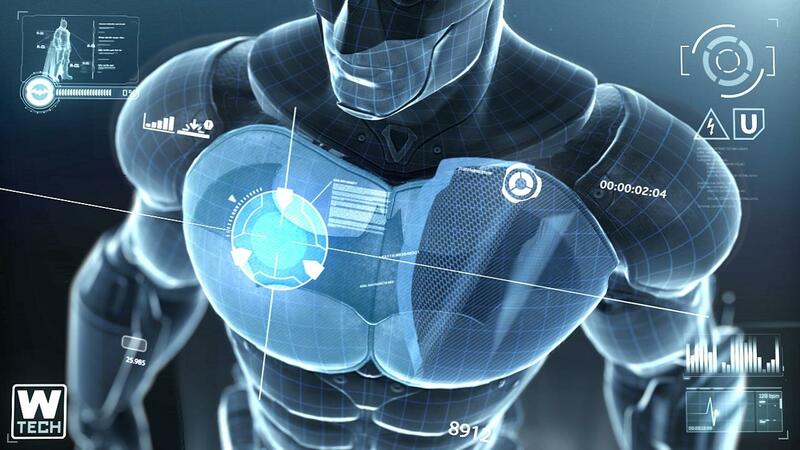 The Wii U version features Batman wearing a swanky new set of armored Bat gear, which will also feature a power-up function that can be used to solve puzzles as well as give a new offensive and defensive bonus. More than that though, the game will focus on the GamePad’s unique design. The screen on the GamePad will display things like maps and certain clues needed to solve mysteries, plus it can occasionally be used as a scanner. Throwing the remote control bat-a-rang will also turn the GamePad into a directional control. The screen will become the camera, and the movements will steer the flight. It was actually harder to use than the standard controls, but the idea was intriguing. All-in-all, there isn’t much different about this version than the recently released Game of the Year Edition. Having the map on hand is a nice touch, but the bat-a-rang controls are a bit clunky and gimmicky. Beyond that, the game plays the same as it ever did. It does raise the question of the GamePad versus a PS3 or Xbox 360 controller. The GamePad is surprisingly comfortable given its bulk, but it’s not as natural as other controllers. Still, while the ported version won’t sell consoles, getting Batman: Arkham City Armored Edition as a launch title was a smart move on Nintendo’s part, and will be a welcome addition to the Wii U library for those that haven’t already played it. Although it isn’t confirmed as a launch title yet, it would make sense to have it available on day one of the Wii U’s life. If you know the franchise, then Wii U or not, you know what to expect of the next Just Dance title. The GamePad is integrated, but it is done so in a way that acts more as a holding pattern for a fifth player than as something people will clamor for. While four people are dancing and possibly gyrating in ways that they would not appreciate being recorded (and subsequently blackmailed), the player with the GamePad is basically the puppet master. That player can then choose the dance moves they want to see the others perform. While it is hard not to maniacally cackle every now and then as your friends fall into your thrall, the thrill of pushing a button instead of actually dancing soon loses its appeal. The addition of the GamePad is fun as a diversion, but it is not much more than a gimmick. The core game remains the same, and that should be the appeal. The GamePad’s inclusion does mix things up a bit, and having a new game mode that can change on the fly is fun. It won’t radically alter the game, but the more popular franchises at launch, the better. New Super Mario Bros U. This is one of the titles that you would expect to solidify the Wii U as a new powerhouse, but instead it makes us question how developers are going to embrace and integrate the new technology. 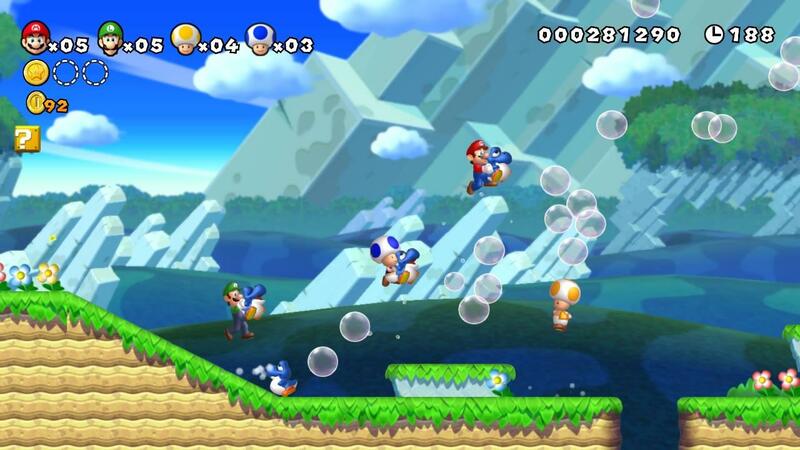 The game itself is a traditional 2D Mario side-scroller, featuring four player co-op. If you have played any Mario game in the last…well, ever, then you have at least a rough understanding of the gameplay. The game looks great on the Wii U–especially the backgrounds which are beautiful to look at. It moves well and is as fun as any Mario title to date–as long as you are actually playing, and not just sort of playing on the GamePad. The Wii U GamePad displays the same game that the other players will see on the TV. The difference is that the person using the GamePad isn’t really playing the same game, they are just moderately interacting with moving images. The GamePad player has the ability to create platforms players can jump on. If you tap the platform again, you can create a coin. And that’s it. Now, clever players can use this mechanic to save others from death, or if you want, you can find new and creative ways to kill the others. This won’t help advance the game in any way, but it is fun. For you, at least. Beyond that though, the GamePad controls feel a bit tacked on, and it isn’t enough to compete with the actual game. It is a consolation prize for the odd man out rather than something people will go out of their way for. Like Batman: Arkham City Armored Edition, this port of Namco’s Ninja Gaiden 3 features a fair amount of new content, as well as a few controls mapped to the GamePad. The game has also had the difficulty ramped up. Significantly. One of the complaints about Ninja Gaiden 3 was that it was not nearly as challenging as its predecessors. Be careful what you wish for. For the Wii U version, the GamePad will include a secondary screen with additional game information, and touch screen buttons that allow you to change weapons and unleash special attacks. In this case, the GamePad is essentially just a fancy controller with a bit of additional information. What does make this game significant are the other changes to the game itself. 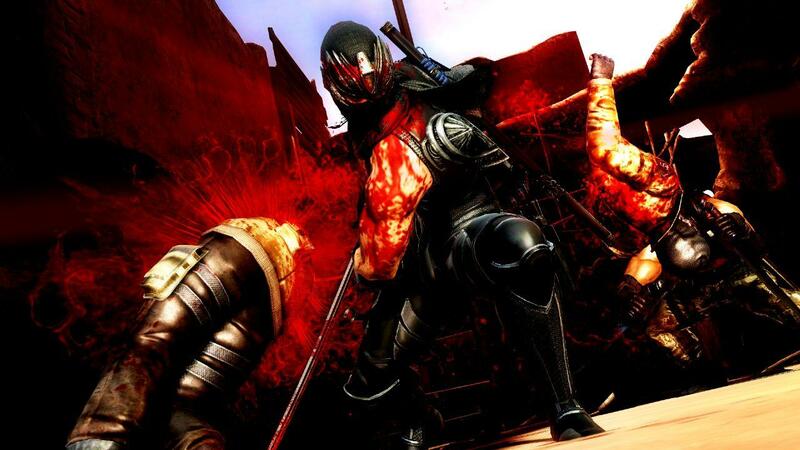 Ninja Gaiden 3: Razor’s Edge seems to have taken most of the complaints from Ninja Gaiden 3 to heart. Dismemberment and decapitation are back, there is a lot more blood, and the game is definitely challenging. Ninja Gaiden 3: Razor’s Edge doesn’t fully benefit from the new hardware, but the game has been changed enough for it to feel like a new title altogether. 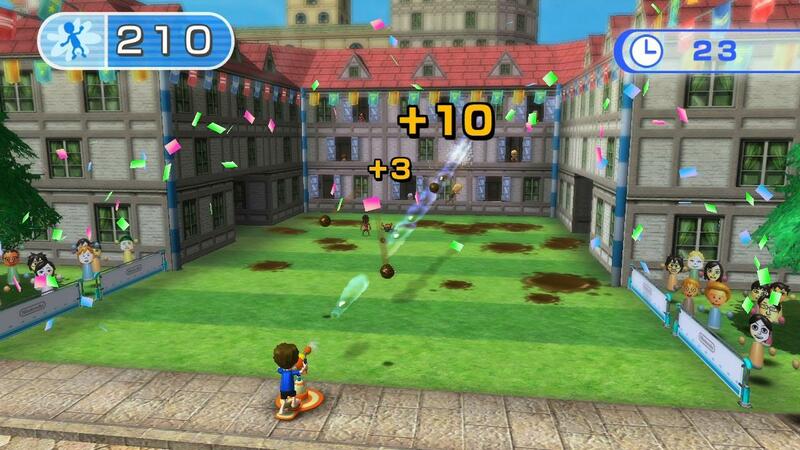 Nintendo Land is a game that will define the launch of the Wii U. It uses the GamePad as a fundamental piece of the game, and it is also a title that can only be played on the Wii U, as the technology and style of gameplay is unique to Nintendo’s system. The game is comprised of several mini-games, each of which features the GamePad as an integral part of the play. In the demo being shown, only five of the twelve “zones” were available, but the concept was clear. In one game, the person with the GamePad is a ghost, while the other four players are equipped with flashlights that can be used to hunt the ghost. The four will need to work together to defeat the one. The other games are different, but they all feature the same idea of the person with the GamePad having an advantage, while the other players need to work together. There will be variations of this, of course, but the player with the GamePad controller will stand alone. This raises a few questions. With five people, the Wii U mini-games are unquestionably fun. It is a new way to play that gives the Wii U some originality and character. The question though is how games like this will stack up with less than five players. 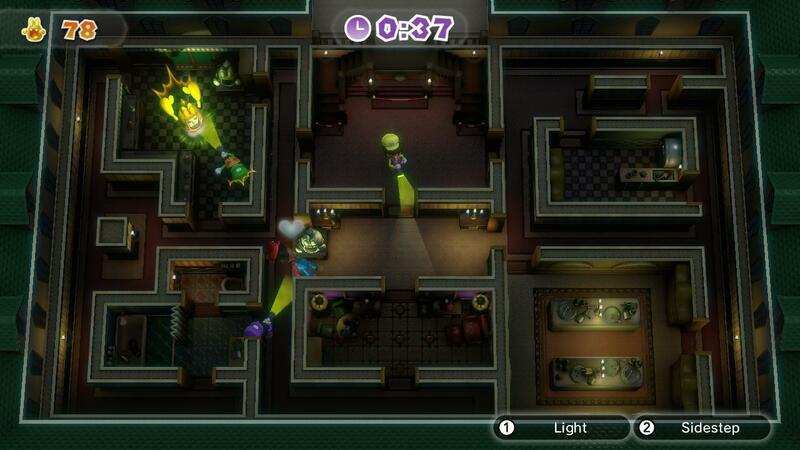 In some like the Luigi’s Mansion-inspired mini-game featuring the ghost, having less than four people hunting the ghost puts those players at a clear disadvantage. This wasn’t the case in all the mini-games, and even if Nintendo Land does it absolutely perfectly, balancing gameplay with the GamePad may be an issue that plagues the Wii U through its entire life. It was nice to see the long-awaited return of the Pikmin franchise, and this game was the best example of the Wii U’s potential power yet. The graphics were amazing at parts, and that is not rhetoric. The water effects were something to behold, and the focusing effects used to show depth were impressive. The game was also just plain fun, which is, ya know, nice. In terms of the actual gameplay, the GamePad displays a map that is important for beating some of the levels, especially the timed ones. The game puts you in the position of being the lord and master of an adorable collection of creatures called Pikmin that you enslave and send out to do your bidding, but in a happy way. 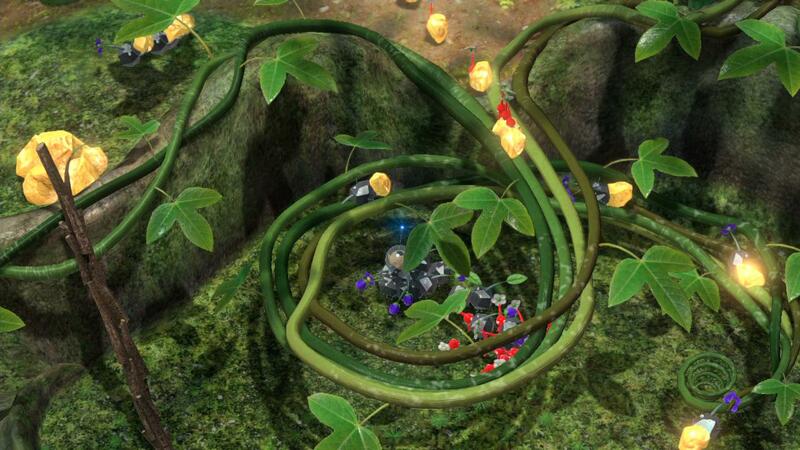 Different obstacles and enemies require different Pikmin to defeat, destroy, or carry away items. It features a touch of action mixes with strategy. The Wii U GamePad’s uses here won’t blow anyone away, but the game itself might. Another great game with a bizarre and consolation-like use of the GamePad. 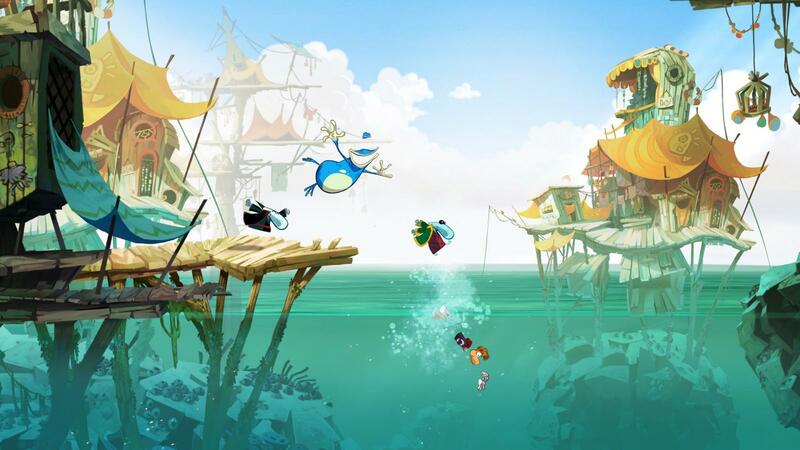 One player takes control of Rayman in a classic 2D-scroller, while the second player can augment collectibles and—more importantly—create pathways Rayman needs to progress. The Wii U’s graphical power is hard to judge here since the Rayman style is cartoony by nature, but it moves well. It looks great too, but the art style has plateaued a bit, and this game doesn’t look much different from Rayman Origins. Despite some similarities in their platforming natures, the integration of the GamePad is more useful here than in the Mario, but only slightly. The GamePad wielding player can use the controller’s motion sensors to alter the level’s geography and spin wheels, clear obstacles, and generally help Rayman along. Sounds great in theory, but it is hard not to envy the joy that the person playing Rayman will no doubt feel. Reverse jumping off of walls, then running down a ramp to collect coins is way more fun than turning the controller left and right. The original Wii was a success because it brought groups together in the name of gaming. The Wii U seems to occasionally do the opposite and create divisiveness. Sure, you can always just switch the controller between people, but it isn’t quite the same, and someone is going to always be on the outside looking in. While this game doesn’t come close to reaching the Wii U’s technical zenith, it does perhaps use the GamePad as well as any game due out for the Wii U’s launch—or so we hope, as this game does not yet have an official release date or window. Part puzzle game, part Choose Your Own Adventure, Scribblenauts Unlimited allows you to physically interact with the game by writing or drawing what you want on the GamePad’s touchscreen, and sending it to the console where you can interact with it in the game. If there is person on screen asking for help to cut down a tree, you can type “axe” and it will appear for the character to use. 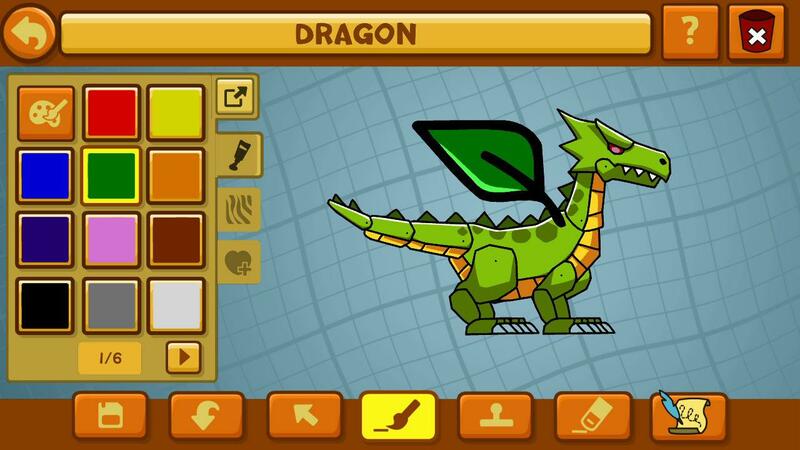 If you want to draw a dragon and ride it, you can draw one and introduce it into play. It is a clever idea that is somewhat limited by the child like presentation, but that’s alright, it just isn’t made for an older crowd. Kids should go berserk over this game though. Wii Fit was an instant hit among the activity-prone set that flocked to the Wii, and the Wii U simply kicks that up a notch. A variety of exercises and activities use the GamePad in ways that create new options that weren’t possible before. Oddly, many of the games on the display did not use GamePad at all — just the Balance Board. Of course, this was still and early demo. In some of the games, the Wii U acts as a second display that can be placed on the ground. In one demo, after faux-jumping you can look down at the GamePad and see a display of your avatar falling. Another had you run in place on the Balance Board while using the GamePad to balance a series of on screen dishes, and another had you use the GamePad as a targeting sensor for a water hose. The core audience for this type of game will love it, and there will be some appeal to the casual gaming fans too, but the single GamePad will limit the party game appeal. The idea of using the GamePad as a second screen you can interact with—as with the example of using it as the tee in a golf game—has a lot of potential in the future, especially with sports and activity-based games. We hope that Wii Fit U will be a launch title, there is no release date information yet. One of Ubisoft’s launch titles offers one of the more promising uses of the technology on display thus far. ZombieU is a survival horror game with the emphasis on survival. It isn’t so much if you survive, but rather how long you make it. There will be leader boards that post the longest runs, and the online connectivity shows promise. 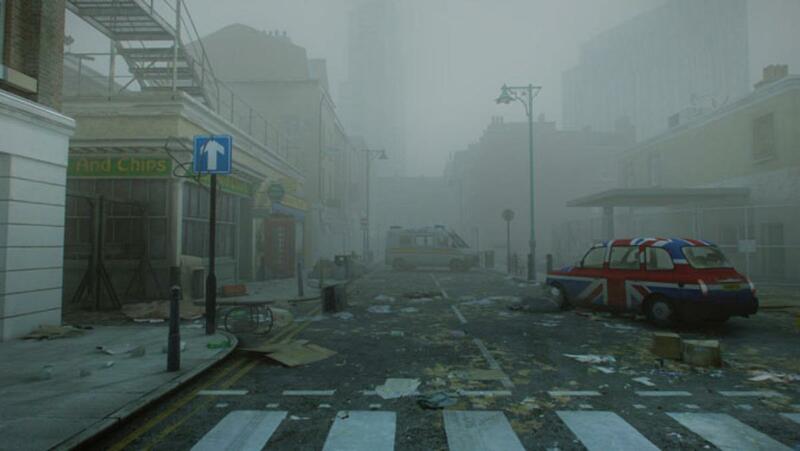 The setting is a ruined London caught in the throes of a zombie apocalypse. As you wander the streets looking for supplies, you can use the GamePad to scan the surrounding areas. By holding the controller in front of you, you will see something akin to Batman’s detective mode. Once you see an object worth your attention, you hold a button and it scans, then identifies the objects. When not using the GamePad as a scanner, you will need to use it as a map. Zombies are cheeky little buggers, and they are both fast and sneaky. If you aren’t constantly watching your map, one will eventually sneak up on you, and it is a one bite kill. After you respawn, you will then need to go find your now zombified corpse, kill it, and take back your junk. It is a good idea and an original use of the technology, but the game itself is somewhat flawed. Control issues can be written off as early development hiccups, but the real problem is the game has no depth beyond the GamePad integration, which without a story comes off feeling a tad gimmicky. ZombieU could either be a major hit and an important step in the evolution of the console, or it could be the moderately successful and quickly forgotten ala Ubisoft’s supposedly groundbreaking Wii launch title, Red Steel.